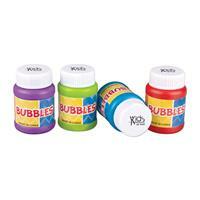 Create new and fun shapes with this 4 piece bubble tool. Comes with a 2 oz. bottle of bubbles and in the retail packaging. 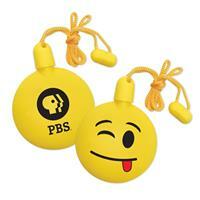 This item will make for a fun and memorable gift for schools, daycares, outdoor events, or non-profit groups. One location imprint only. Lather up some extra business with this classic children's toy! Whether in an amusement park gift shop or party favor bag, your company name brand or logo is sure to garner extra attention. Made of plastic and measuring 2" x 2" it's perfect for the littlest of hands to carry. 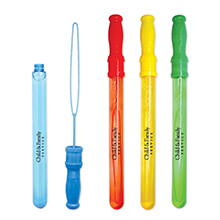 With a variety of vibrant colors this makes an ideal promotional product for tradeshows, teacher conferences and fundraisers. Available in assorted colors, blue, red, green, yellow and white. Bubbles make for a great time, especially our round bubble necklace. 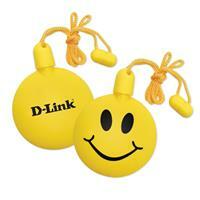 With a convenient string carrier, this makes an ideal promotional product for tradeshows and fundraisers. Add your logo and be associated with a good time. Available in assorted colors (S25120X), blue (S25074X), and red (S25075X). Bubbles make for a great time! 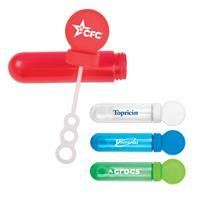 Our 5" tube bubbles with topper makes an ideal promotional product for tradeshows and events. Add your logo and be associated with a good time. Available in blue, red, yellow, green, and white. Imprint Locations: One side only, tube or lid. Let's face it, whether in a museum gift shop or party bag you're company name brand or logo is sure to garner extra attention with every smile. Made of plastic and measuring 2 1/2" it's perfect for the littlest of hands to carry. 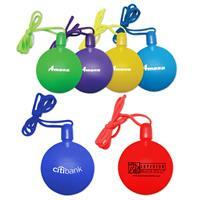 With a convenient string carrier this makes an ideal promotional product for tradeshows and fundraisers. Bubbles make for a great time, especially these 1 oz bubbles. Add you logo to the cap and be associated with a good time. Assorted Colors. Plastic. 2". One color/one location. Bubbles always make for a great time and these Bubble Wands will add excitement to your next campaign. These 4 oz. tubes measure 14 1/2" long and are available in an assortment of colors. 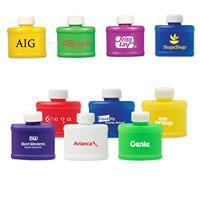 They can be customized with your company name or logo to be associated with a fun time. 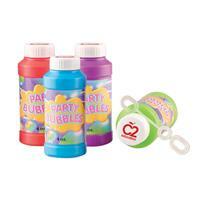 Bubbles are perfect for trade shows, conventions and school fundraisers. Both children and their parents will appreciate this entertaining giveaway! 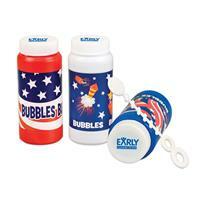 Patriotic Bubbles - 4 oz. Patriotic bubbles make for a great time at Memorial Day, July 4th and Labor Day! Especially these 4 oz bubbles. Add your logo on the cap and be associated with a good time. Available colors: red, white, blue. Plastic. One color/one location. Bubbles make for a great time, especially these 4 oz bubbles with a stock "fun" label. Add your logo the cap and be associated with a good time. Assorted Colors. Plastic. One color/one location imprint. Bubbles make for a great time, especially these 2 oz bubbles. Comes with a stock label. Add your logo the cap and be associated with a good time. Assorted Colors. Plastic. One color/one location imprint.